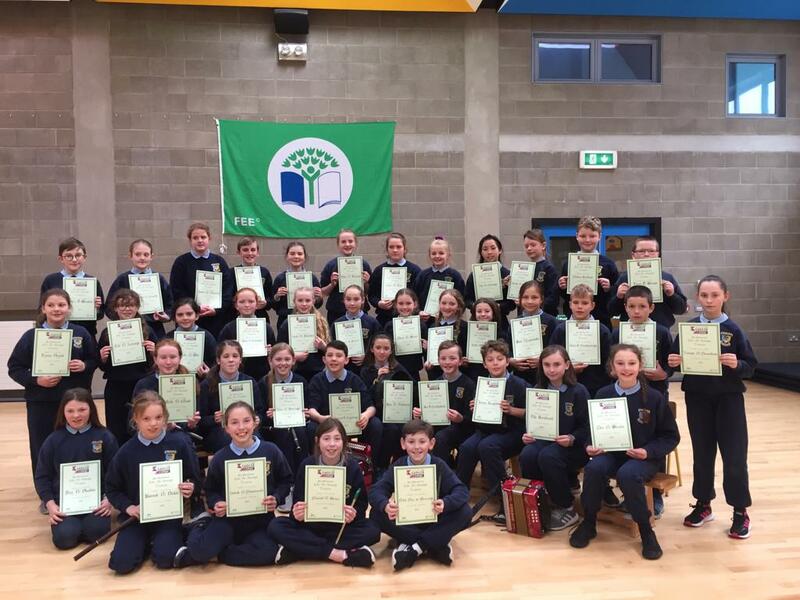 During Term 2 in fifth class we took part in the Big Grow Project. Run by Grow It Yourself and Innocent Drinks, the project aims to encourage children to grow their own vegetables to help them understand where their food comes from and to encourage healthy eating habits. We started our project in February when each student planted cress, spinach or pea shoots. Over the next few weeks, we looked after our plants and observed and recorded their growth using graphs. Eventually, our vegetables became too big for their pots and we had to transplant them into larger ones. We knew from our previous study of plants that it was important to water them and to ensure they got enough light we kept them on the windowsill as much as possible. However, we wanted to know if the potting compost we had used was best for plant growth so we set up an experiment by planting seeds in potting compost, ordinary garden clay, sand and stones. Most of us predicted that the potting compost would grow first. Imagine our surprise when the seeds in the clay were first to appear, followed by…. the sand! The potting compost was a distant third place. In the end, even the seeds in the stones grew which showed us just how hard life fights to survive. We had quite the garden in our classroom in the end! We tasted our vegetables and the cress in particular divided the crowd! We also took a closer look at some different fruit & veg to remind us how delicious a healthy diet can be. Throughout the project, we tweeted our progress and also saw the work other schools were doing. We took our vegetables home for Easter!